Anyone with any scientific knowledge at all has heard the term “the laws of physics.” These are foundational laws governing the interaction of matter and energy in the universe. They are determinant and static as far as anyone has ever seen or measured. 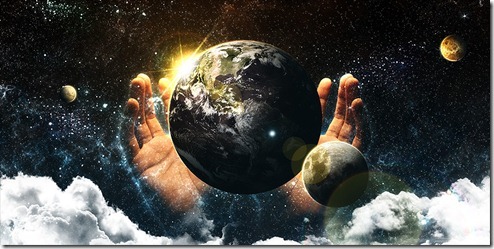 Many theists argue the existence of God using the “argument from fine tuning.” It is stated that it is impossible for these physical constants to exist in the way they do and in the quantities they do without supreme guidance. In fact, Richard Dawkins has stated that although he isn’t convinced by this argument, he finds it the best argument for God. But this puts theists in a bind. On one hand they propose a god who created these “laws” while on the other hand violating them constantly. Miracles by definition are a violation of the laws that God created. A theist might posit that the creator of the laws also has the capacity and intention to violate those laws. However, imagine a world where those laws are routinely violated such as in the times of the Bible writing. In a world where God constantly violates physical laws, no experiment could be reliable. Any measurement would have to take into account God’s finger on the scale. I was listening to a sermon recently in which the pastor made an implicit point that all things happening in the world were the work of God/Satan. Basically, supernatural forces are all around us mucking with our reality. Any trials you have in your life are related to God’s work. A child who gets hurt and requires stitches was an intentional act by God to elicit prayers and worship and adoration in times of struggle. God puts trials in your life to bring you closer to him or make you a better person, etc. Americans think that God interferes in sporting events. I assume he does so by manipulating the path of the football or baseball. Maybe he causes the pitcher to throw a ball or a strike based on some devine plan. Sean Carroll makes some interesting points asking about the physicality of God interfering in our world. What particles specifically interfere with our brains or the car or the football or baseball? This concept of God’s intrusion is nonsensical on it’s face. By positing this intrusive God, theists are simultaneously undercutting their argument about his fine tuning of the universe and creation of the laws of nature. The logical implication is that a theistic intrusion by God would make the universe less understandable and discoverable and implicitly states that God has to continue his intrusion because he didn’t get it right initially. And the logical implication of this, which also seems to correspond to what we see in nature, points to Deism (a creator without daily intrusion) as the most likely theological model assuming we find a theological definition necessary. And this conclusion completely disputes the gods of men and their holy books.